Wave Pattern Cotton Pantyhose/Socks/Stockings, thick section modal cotton herringbone, high elastic pantyhose. Wave Pattern Cotton Pantyhose/Socks/Stockings, thick section modal cotton herringbone, high elastic pantyhose. The new fabric feels fabulous stretch of soft modal + longitudinal effects of soft natural cotton. Retro pattern is very beautiful, with thin overall workmanship, very comfortable to wear. 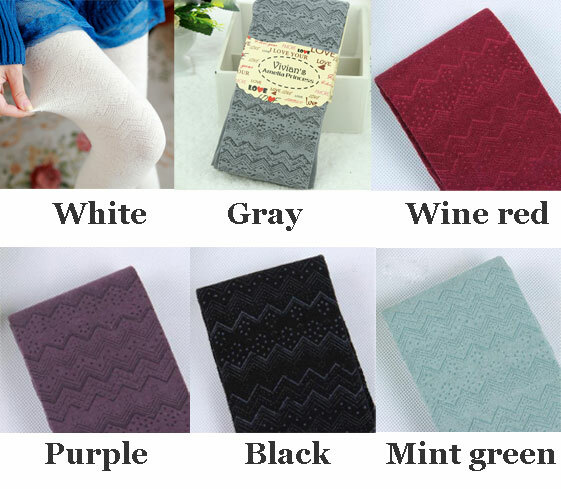 Wave Pattern Cotton Stockings, modal cotton is very soft, much higher quality than ordinary cotton socks.